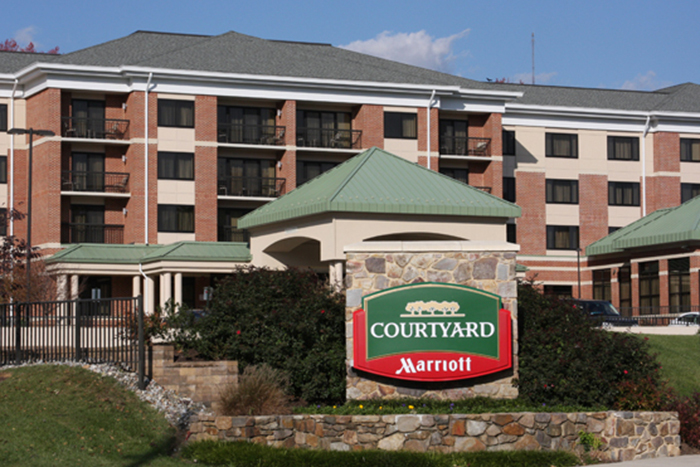 On North Campus, nestled in between upperclassmen dormitory housing and flat lots full of student cars, UD’s Courtyard Marriott serves as learning space for hospitality business management students as well as the home of the Marriott Center for Tourism & Hospitality. The center provides hands-on experience for the students as well as high-tech academic classes that utilize the hotel’s ALICE (Advanced Learning Interactive Classroom Environment) classroom. Faculty members use the classroom as both a traditional lecture classroom and a collaborative workspace, complete with glass writing surfaces, flat screen monitors and video camera systems. For Simone Bianco, a student currently enrolled in the master of science in hospitality business management program, the Marriott Center is crucial to his experience. Bianco has taken classes in the Marriott Center, and he assists one of the faculty members there with his lesson plans on a regular basis. As a native Italian, Bianco learned about UD’s program when his undergraduate university collaborated with UD during a hospitality study abroad course in Italy. He applied to the program and began classes in fall 2016. Due to the accelerated nature of this one-year master’s program, Bianco will be completing his degree this summer. This upcoming June, before his graduation, Bianco will spend six weeks in the Marriott Center and complete a series of rotations through the different operations at the hotel, from the front desk to housekeeping to food service to maintenance. Bill Sullivan, the managing director of the Marriott Center, said the center provides key experiential learning to students in the master’s program. During these shifts students learn about various hospitality job responsibilities, revenue management and customer service from the staff at the Marriott. In the two years the Marriott Center has been operating, Sullivan said, they’ve received many positive comments from the students, staff and even guests of the hotel. Because some of the students have not had opportunities for hospitality work before entering the program, Sullivan said, this six-week rotation is a vital part of the M.S. program.